Space and technology sectors, in addition to renewable energy and artificial intelligence, would be opened up to greater foreign ownership, said Sultan Bin Saeed Al Mansouri, Minister of Economy. The foreign direct investment (FDI) law, which came in force on October 30, is intended to drive outside investment in to the UAE — in turn boosting financial liquidity and creating jobs — by opening up the rules around ownership of companies. Under the new legal framework, companies in certain industries can now be up to 100 per cent foreign-owned. It is not clear what percentage of foreign ownership the whitelisted sectors will be allowed, just that it will be between 49 per cent and 100 per cent. Broadly, the law sorts out business activity in three separate categories: First, the so-called Negative List, which includes companies and sectors that will continue to be limited to national investment; second, the Positive List, which will encompass sectors now open to foreign investment; and thirdly, the sectors that are not specifically permitted or banned, but subject to review. “We hope to publish the Positive List in the first quarter of next year,” said Al Mansouri in a news briefing. 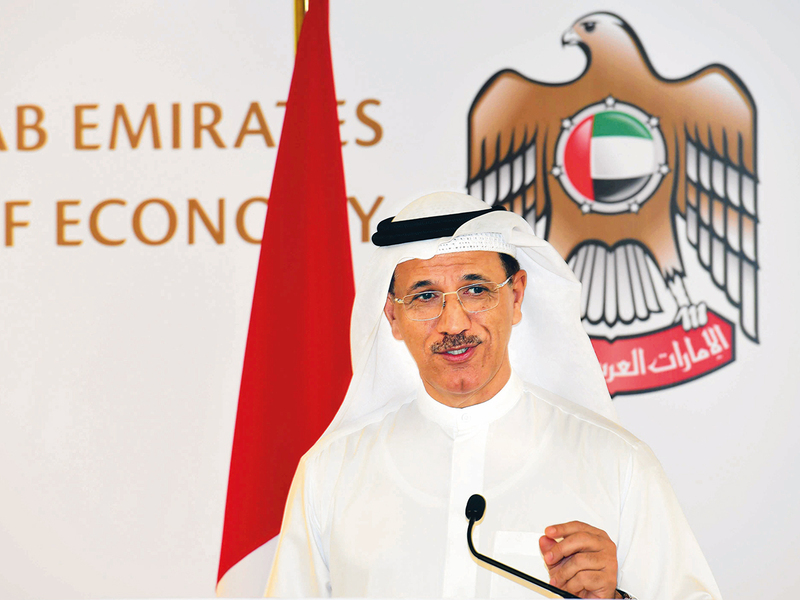 Al Mansouri said a committee had been formed to study the economy and decide which sectors would benefit the most from increased foreign ownership. He said that the committee was expected to hold its first meeting in December, after which the cabinet would review its findings, and subsequently publish the first list of approved sectors. “This hopefully should happen in the first quarter of next year,” Al Mansouri said. In practice, applications to establish foreign investment companies (FICs) will only be accepted once the relevant committees, units, and authorities are established, and the positive list has been drawn up, according to law firm Pinsent Masons. With an emphasis on sectors which create jobs and require a transfer of skills and manufacturing in to the UAE, Al Mansouri said that industries such as technology and renewable energy required the most attention. “These [approved sectors] are a priority for us…because we feel these sectors are what we need to pay maximum attention to attract investment from overseas,” he said. The sectors that are forbidden from allowing greater foreign ownership, include oil and gas, military and defence, banking and financial services, and insurance, among others. The official said these industries were of a “special nature,” and increased foreign investment might have a negative impact on the national companies that operate in such sectors. Meanwhile, Al Mansouri confirmed that onshore companies that are currently 51 per cent Emirati-owned could be converted to fully foreign-owned. “If they want to convert…they can,” he said. In a boost to its economic diversification efforts following the 2014 collapse in oil prices, the government estimates that the new law will attract between 15 to 20 per cent more foreign investment next year. Companies and sectors that will continue to be limited to national investment. Encompasses sectors now open to foreign investment. Sectors that are not specifically permitted or banned, but subject to review.